Nitrogen and phosphate nutrients are among the largest costs in cultivating algae for biofuel production. Sandia molecular biologists (in Sandia’s Systems Biology Dept.) and Ryan Davis (in Sandia’s Biomass Science and Conversion Technology Dept.) have shown they can recycle ~⅔ of those critical nutrients, and aim to raise the recycling rate to close to 100%. Recycling nitrogen and phosphate has benefits that go far beyond cost. While nitrogen can be produced through a costly artificial nitrogen-fixation process using natural gas and atmospheric nitrogen, phosphate is a limited natural resource that can also be toxic at high concentration. “We have a finite amount of phosphate in the world, but it’s in high demand as a fertilizer. Unfortunately half of the phosphates that go into our crops in the form of fertilizer end up in the Gulf of Mexico, contributing to hypoxic zones,” said Lane. Better known as “dead zones,” hypoxic zones are areas of low oxygen concentration that kill or drive out marine life. 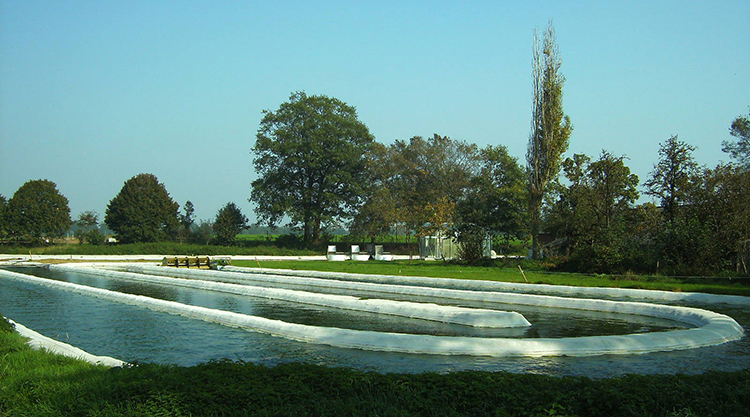 The researchers use a fairly simple process, osmotic shock, to liberate phosphate from the cultivated algae. “We shock the algae with fresh water while controlling certain conditions like pH and temperature. This disrupts the internal structure of the cell and releases naturally occurring enzymes,” explained Lane. “These enzymes chew up the cell and rapidly release the phosphates.” The next step is fermentation to convert the nitrogen, which is mostly in the form of amino acids, into ammonia. The phosphates and ammonia are then recombined—with help from magnesium, present in great quantities in the algal biomass—to form struvite, a solid salt. The algae nutrient recycling research is part of a larger project funded by the DOE’s BioEnergy Technologies Office, part of the Office of Energy Efficiency and Renewable Energy. 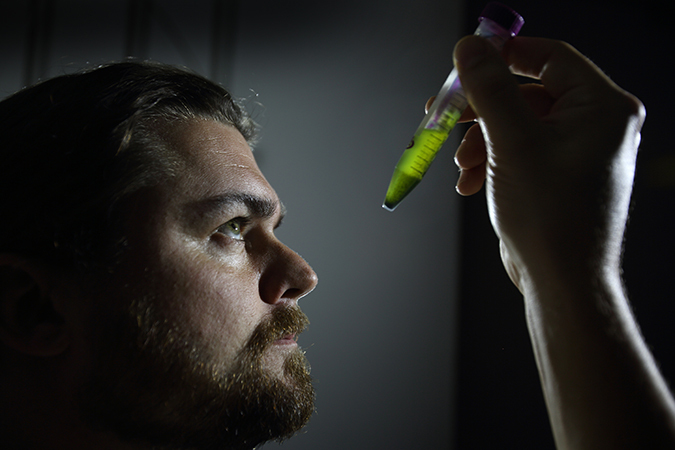 The Sandia team’s partners include Texas A&M AgriLife Research, which grows marine strains of algae, and Texas-based OpenAlgae, which patented methods to lyse algal cells and recover algal lipids without using solvent. The nutrient recycling process also releases more compounds that can be turned into fuels. “There is a lot of protein in biomass and that soaks up the nitrogen. As we’re liberating the ammonia, we’re also capturing that carbon so it can be turned into fuel,” said Davis. Lane and Davis are working to further refine their method to recycle more of the nutrients, including a collaboration with James Liao of the University of California, Los Angeles, to genetically refine their fermentation strain to increase yield and extract different fuel products. Liao runs the Metabolic Engineering and Synthetic Biology Laboratory and is chairman of the department of chemical and biomolecular engineering and the department of bioengineering. Nutrient recycling is like panning for gold—or in this case, phosphates—anywhere that fertilizer-laden agricultural runoff enters bodies of water. The key, said Lane, is getting the concentrated runoff before it enters the body of water and dilutes. “Our method can’t remedy the existing dead zones,” said Lane. “But it can stop them from growing. The irony is that those nutrients are so valuable to growing plants, but so damaging when they flow into large bodies of water.